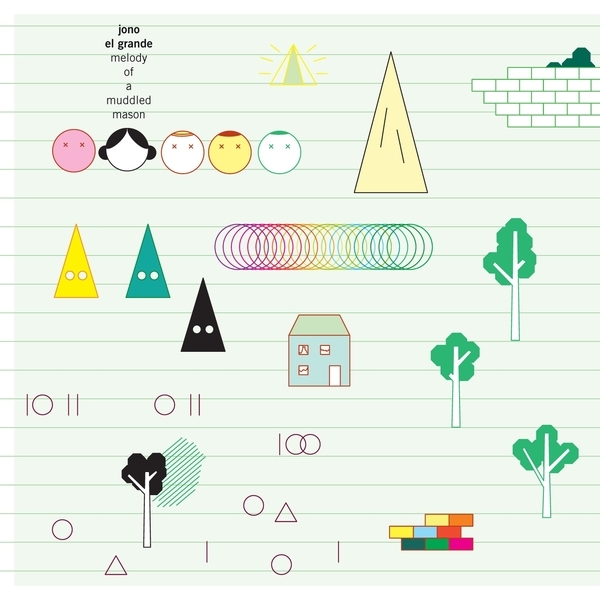 "Jono El Grande is a self-taught composer, musician, conductor, painter and prankster and remains an outsider on the far margins of the Norwegian experimental music scene. He released his debut mini album ”Utopian Dances” in 1999, a collection of absurdist instrumentals recorded at home using not much more than a workstation synth. 2003 saw the release of ”Fevergreens” (RCD2031), an album that drew upon classic progressive rock, film music, easy listening and a variety of pop idioms and featured a 9 piece orchestra. The Wire noted that ”the vitality of his writing keeps just the right uplifting balance between sweetness and acidity” and called it ”a pleasant surprise”. His following album ”Neo Dada” (RCD2084) was a masterstroke; brimming with creative ideas, odd turns, weird combinations of sounds and instruments, complex time signatures and a healthy dose of pure musical joy, all mysteriously sugared with melodic hooks that would stick to your brain like any annoying pop tune. The following albums "Phantom Stimulance" and "The Choko King" were mostly made up of re-recordings, "lost" songs, pre "Fevergreens" sketches and various odds and ends, making "Melody Of A Muddled Mason" the natural successor to "Neo Dada". Some of Jono´s finest writings can be found here, and he has refined his already considerable arranging skills to perfection, just listen to Bach's Beach and the title track for evidence. Jono lists movements like Rock in Opposition and the Canterbury scene and artists and composers like Frank Zappa, Stravinsky, Magma, Henry Cow and Gentle Giant as sources of inspiration. With his releases and stage shows he has now established his own signature, with mature compositions, refined arrangements, improved guitar playing and the introduction of subtle vocals."